Syrup with a high aromatic taste, rich in juice and fruit pulp. Ideal for thirst-quenching drink, water-ice and popsicles. Excellent on ice-cream, in milk shakes and fruit shakes. 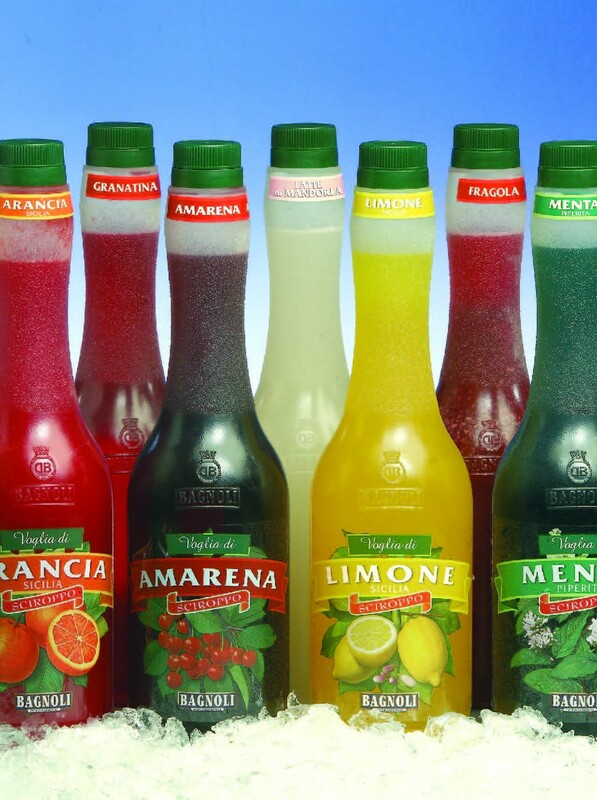 Flavours: Menta Piperita, Arancia Sicilia, Limone Sicilia, Amarena, Fragola, Granatina.